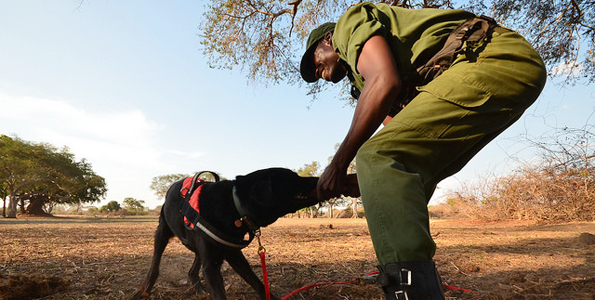 The use of conservation detection dogs has spread rapidly worldwide and particularly in Africa. Historically, dogs have been used for ecological monitoring of rare and elusive species, like cheetah, lion, wild dog and gorilla, and for threat detection, especially wire snares, which constitute a significant threat throughout Africa. 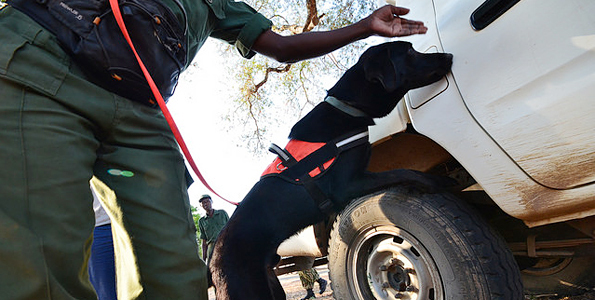 The unprecedented rise in elephant poaching and ivory smuggling has necessitated a new role for conservation detection dogs: trafficking interdiction. The CDDNA is being created at the request of existing dog programs in Africa, many of which are faltering and in need of support. The network will improve the efficacy, efficiency and sustainability of existing activities and facilitate the establishment of a comprehensive program that better protects elephants and makes utilizing dogs more effective, efficient and sustainable. Through the network, Working Dogs for Conservation will provide technical support for dog and handler training, veterinary care, and canine project management, including integration with other law enforcement. 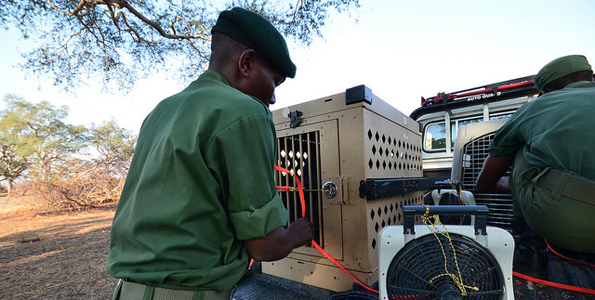 A more effective program will strengthen enforcement efforts, while efficiency and sustainability will facilitate expansion of canine employment so that interdiction leads to fewer elephants killed and poachers prevented from shifting to less well protected areas.